hey everyone! 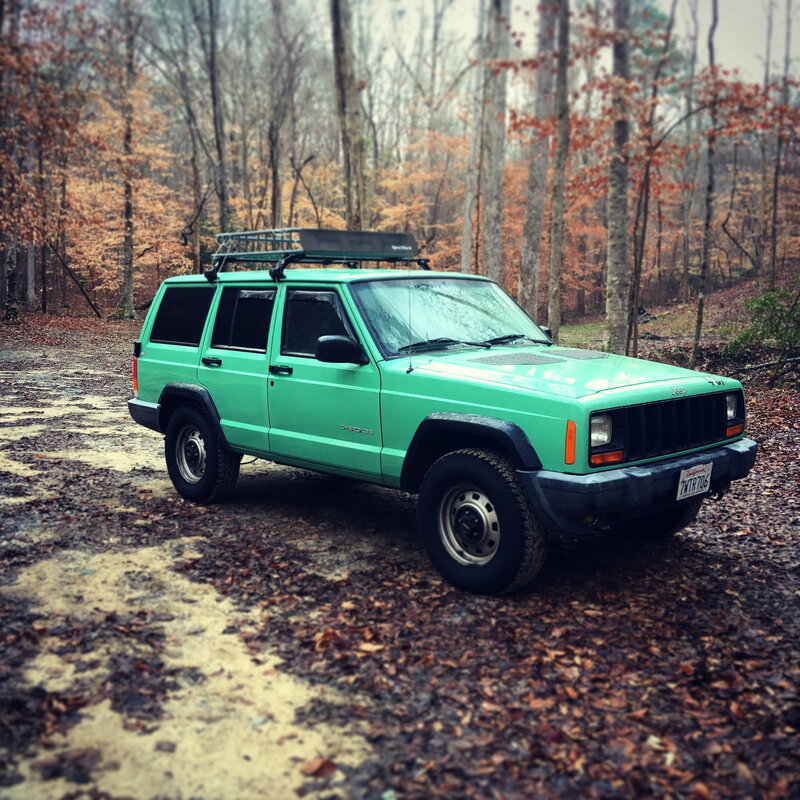 3 year owner of this beautiful former USFS XJ. His name is Smokey. He’s a 1999 4.0L 4x4 with a standard transmission and 157k miles. Pretty much stock except for some hood vents. Recent work done: brand new a/c compressor, O2 sensors, tires, and power steering hoses. I nicked one of my old power steering hoses when i was cleaning the engine and hard turns caused fluid to squirt on the block! Those blue flames are not a sight you wanna see! Goodies: CB radio, weatherteched thru and thru, corbeau retro bucket driver seat, Thule roof rack, viper alarm, and a little hidden kill switch in the rear ash. My life with Smokey: I bought him in 2015 in San Diego where he had lived his whole life (he was commissioned in SoCal’s Cleveland National Forest). I count myself extremely lucky in that i have every maintenance record since the green beast’s birth. I had him in San Diego for six months, then I shipped him to Puerto Rico where i lived for a year and a half. After that i shipped him back to SoCal—lived in LA for about six months, then last year i hooked a uhaul to the hitch and moved to Alabama. Here we’ve been ever since. Current projects: fixing my drooping headliner, getting my front passenger door to open from the outside (something is stuck in the lockwork), and replacing my fuel pump (turns over a few more times than I’d like when I start it in hot weather). Future goals: debating between modding and selling. Last edited by SmokeyTheXJ; 09-22-2018 at 09:36 PM. That's awesome man and welcome! I guess I just assumed all USFS rigs were automatics with NP242s. Good to see they order stick shifts. Does it have the 120 mph speedo and extended idle switch too? Welcome to the site SmokeyTheXJ ! Love it! Don't change a thing!  It's neat that you two have done so much travelling together. I'd drive it just like it is pretty much. The body and everything seems to be in good shape and it would be a shame to destroy it. Maybe a small lift and slightly bigger tires, but if it were mine I'd keep it stock like I'm doing with my Comanche.